The Wrap-Aholic! Blog: When it comes to your business, how badly do you want to succeed? When it comes to your business, how badly do you want to succeed? Wrap-Aholic! 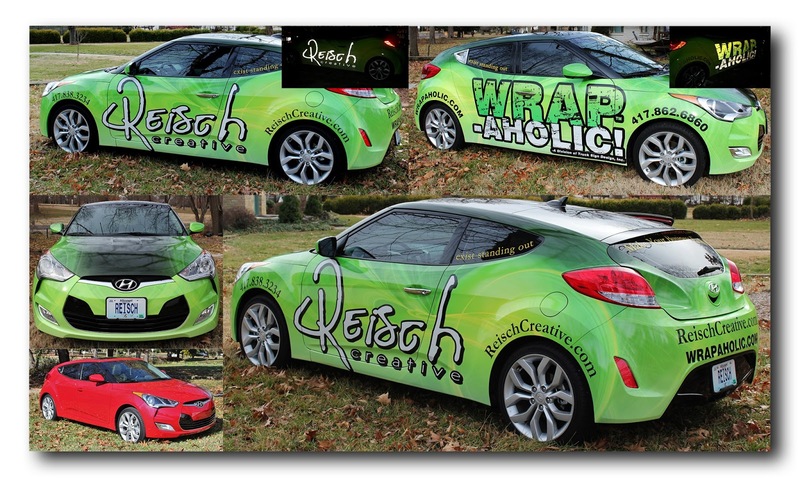 Vehicle Wraps are quite possibly the best known way to brand your business in the history of advertising. If I took every client that I have ever had, and added up the amount of money that they have invested in magazine and newspaper advertising, I would get sick. In Southwest Missouri, your vehicle wrap or graphics will receive 8.5 MILLION views per year in a city of only 50,000 people. If you are in a city of 300,000 that amounts to 32 MILLION views per year! If you park your vehicle in a highly visible parking spot every time you go shopping, you can add even MORE to that sizable number. Ask yourself, "What is the shelf-life of my advertising dollar?" A five year Wrap-Aholic! vehicle wrap with a cost of 3000.00 will cost you 50.00 per month. You will reach 8.5 million people for only 600.00 per year! 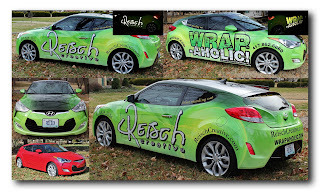 Vehicle wraps are the most effective way to build your business. I have worked in Advertising for over 20 years. The only advertising that I have ever found where a client NEVER tells me that they are not sure if its working or not, is vehicle wraps. It’s funny to hear someone tell me that they won't put their business name or logo on their vehicle. They are afraid that they will drive aggressively, and that their business name will be viewable after they cut somebody off, or even flip somebody off in traffic. C’mon…REALLY? Your business is your livelihood. It's your kids college fund. It's your retirement. You can take it seriously enough to go the distance with vehicle advertising (yes, I wrap ALL my vehicles, and even wrapped my BMW in 2010), or you can sit back and let your competitors steal your market share with vehicle graphics, or a vehicle wrap. It’s up to you. The other day I was at a stop light, and I let two cars out into traffic from a parking lot where they were waiting to merge. One of them called me from their cell and said thank you. You see, my phone number is included on my vehicle wrap. I’m not worried about who I might offend in traffic. I am conscious of who I might impress. I branded myself right then and there. And you might like to know that Wrap-Aholic! has the best "Award Winning" designers, uses only the highest grade vehicle wrap materials, and services clients such as O'Reilly Automotive and Bass Pro Shops. You have probably see the NASCAR trailers that we completed for them in 2012.